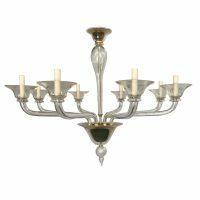 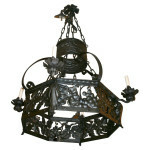 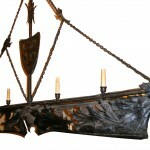 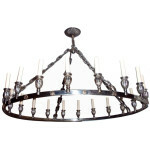 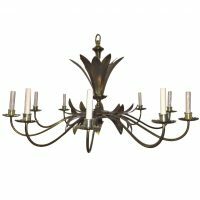 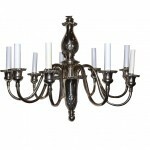 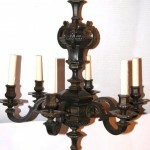 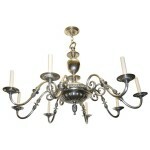 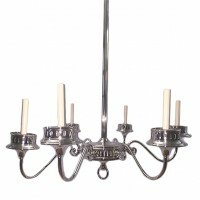 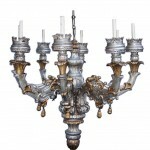 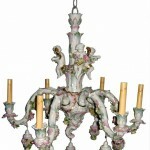 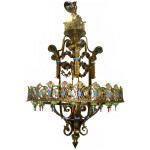 A late 19th Century large patinated bronze 3 tiered chandelier. 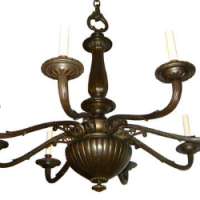 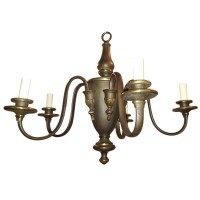 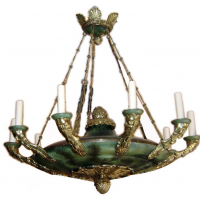 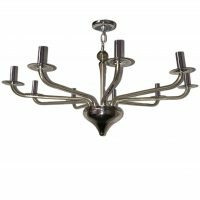 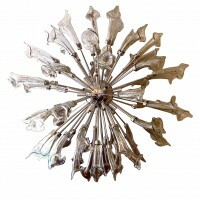 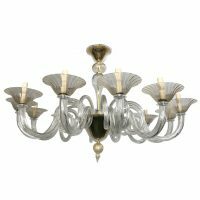 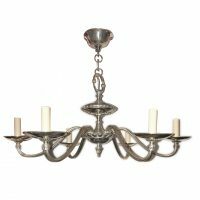 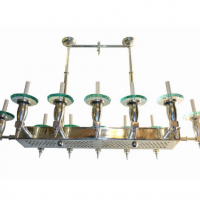 A circa 1920's large Swedish Empire style chandelier with face details on arms Original verdigris painted finish. 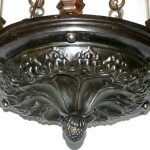 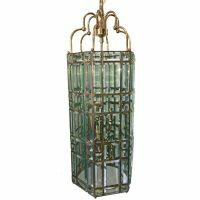 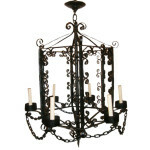 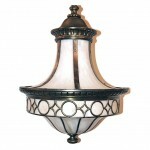 Measurements Height (minimum drop): 32" Diameter: 28.5"
A forged iron 6 lights cage shaped lantern with 6 lights, original black finish and patina. 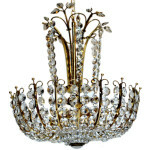 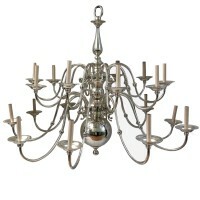 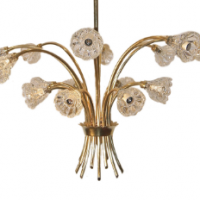 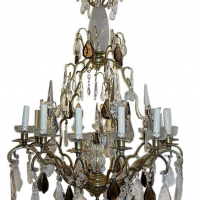 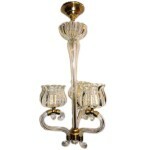 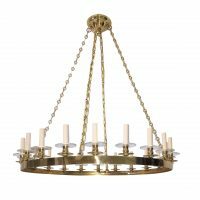 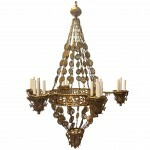 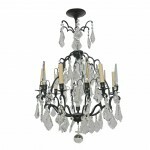 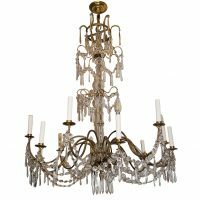 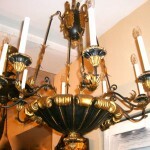 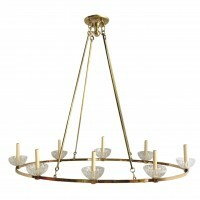 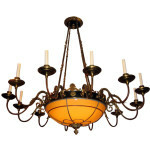 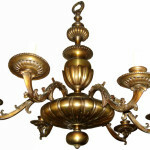 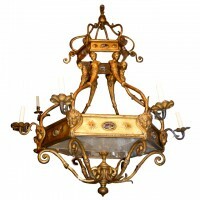 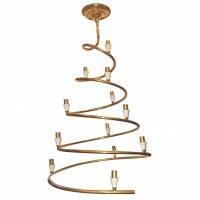 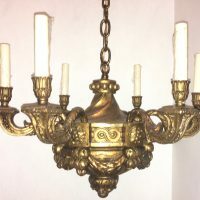 Measurements: Height: 39" Diameter:29"
Circa 1940's French gilt bronze chandelier with 20 lights. 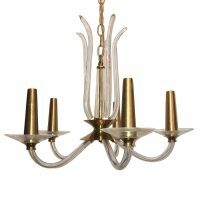 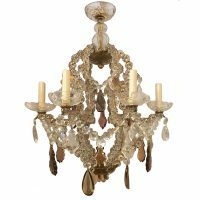 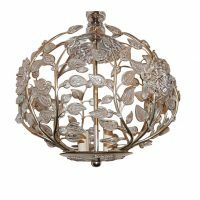 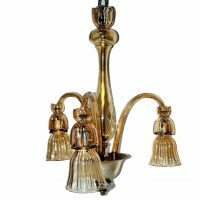 Measurements: Height:43" total drop Diameter: 39.5"
A circa 1940's ten-arm gilt metal Italian chandelier with foliage motif. 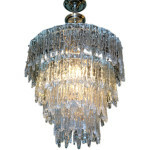 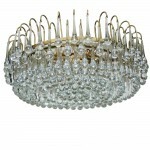 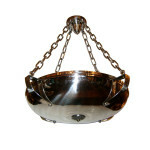 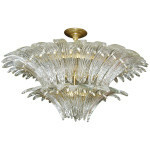 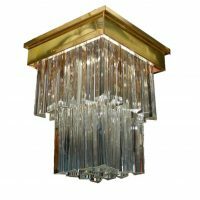 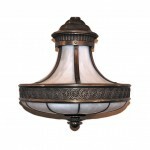 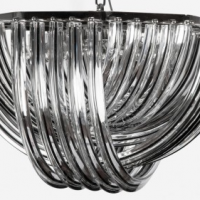 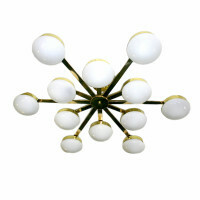 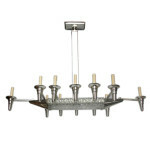 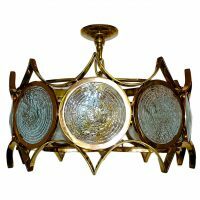 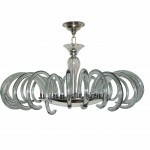 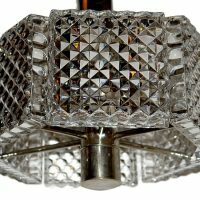 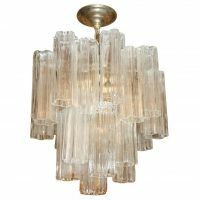 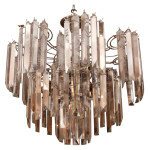 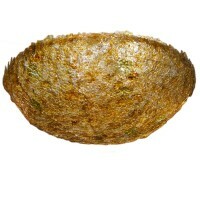 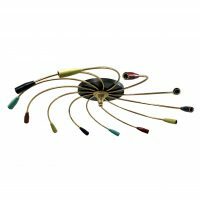 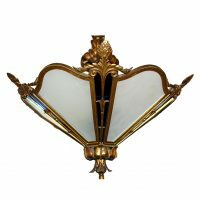 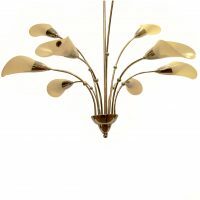 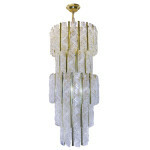 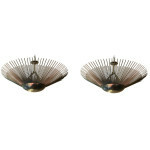 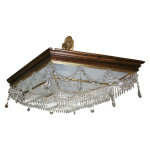 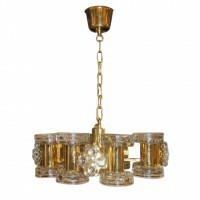 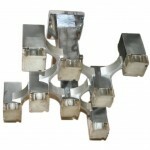 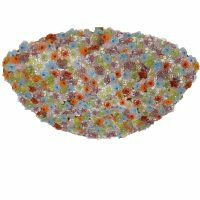 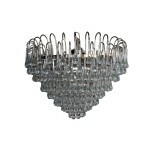 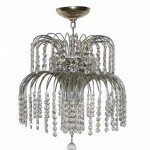 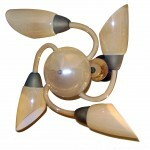 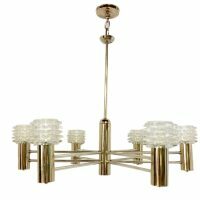 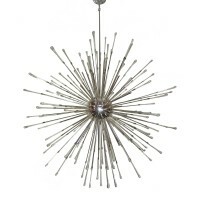 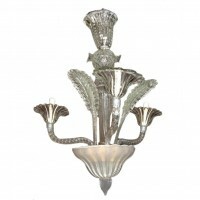 Measurements: Diameter: 50" Minimum Drop: 25"
A circa 1960's Italian molded glass light fixture with interior lights. 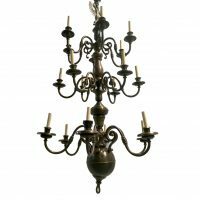 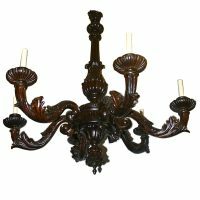 Measurements: Height: 19" Diameter: 18.5"
Circa 1920's French Bronze Neoclassic style chandelier with original finish and patina. 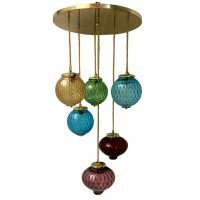 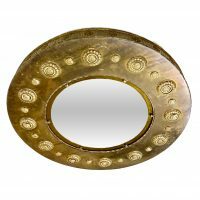 Measurements Height (minimum drop): 31" Diameter: 33.25"
A circa 1920's French gilt bronze light fixture with frosted glass and cobalt blue mirror with interior lights. 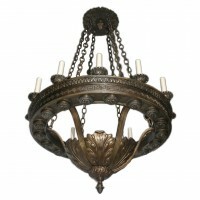 Measurements Height: 23" Diameter: 21"
Circa 1900 American bronze light fixture with open-work center and 12 exterior lights and variable drop. 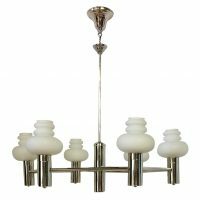 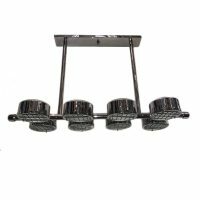 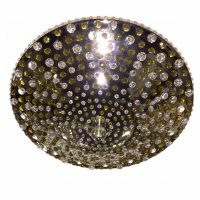 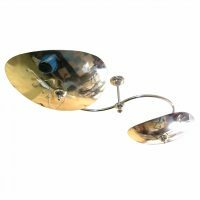 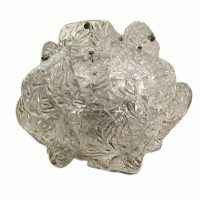 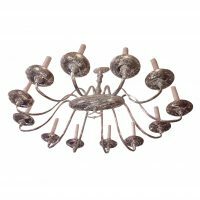 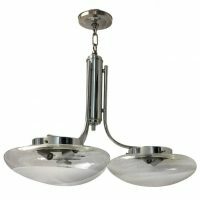 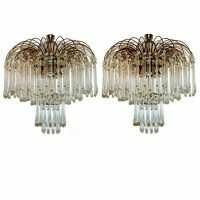 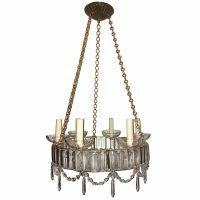 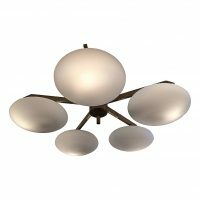 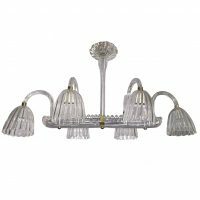 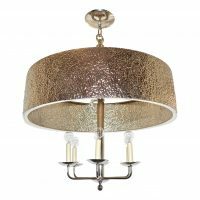 Measurements: Diameter: 31" Minimum drop: 12"
A circa 1960's Italian nickel plated light fixture with 6 lights with molded glass insets.